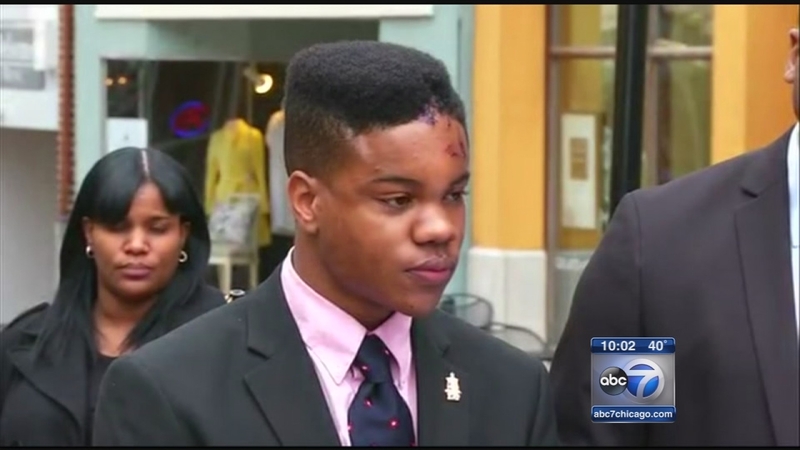 CHICAGO (WLS) -- Lawyers are confident charges will be dropped against Martese Johnson, the Chicago native at the center of a controversial arrest at the University of Virginia. The 20-year-old is charged with obstruction of justice and public intoxication. His arrest sparked outrage because of his bloodied mug shot. Johnson spoke for the first time Thursday since that arrest. "I just want that thank everyone who has been supporting me," he said. Johnson is due back in court in June for a hearing. His trial date has been set for September.